Bjärsjölagård Castle - Historic facility in beautiful surroundings. In the 16th century, Bjärsjölagård, or Beritzholm as the then castle was called, housed the Danish royalty. The building that stands today was built in stages a few hundred years later in typical rococo style. Now it looks a bit different. The Rokoko castle remains in the same shape as when it was built, now under the name Bjärsjölagård Slott, but has followed the development. Since 1975, conferences have been held for Skåne and Sweden's companies. In the main building, Bjärsjölagård Slott has 18 lovely bedrooms for overnight conference guests. These are decorated with a warm touch and castle spirit right out into the curtains and together with 9 rooms in the guesthouse, where guests also have access to a kitchen and sauna, the establishment has 50 beds. Four conference rooms, nine smaller conference rooms and several meeting rooms are in place for the conference group. The largest venue has been named as the castle once was named, Beritzholm, and accommodates 150 people in cinema seating. It has dark wood floors and with generous windows. Spots on the ceiling, screen, projector make the room suitable for many kinds of meetings. 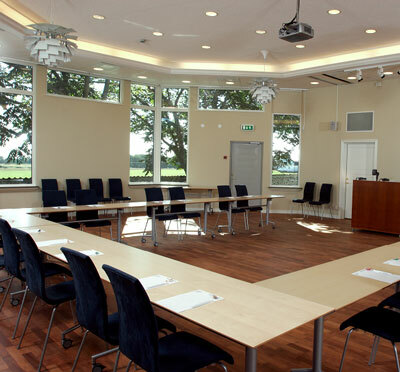 For the group of between 40-50 participants, Tegelsalen and Hedbergska Gården are two similar rooms in traditional conference style with furniture possibilities. Take advantage of the castle’s library for the informal meetings! The castle meals during the conference at Bjärsjölagård Castle are just as pleasant as they sound. Tasty lunches and dinners are served in one of the castle's two dining rooms. For lunch, the conference participants always have a delicious salad table to pick from and bread baked in the castle's own bakery, and the chefs are happy to work with the meeting plans for special food or your own wishes! A historic place has a lot to offer between the meetings, and Bjärsjölagård Slott is no exception. Discover the history through guided hikes, or on your own, and stroll around the ancient kilns from the 19th-century and walk in the footsteps of royalty. Let the meeting group relax in the sauna or in a yoga pass, try your culinary skills in a food challenge, or try the popular segway. In addition, the nature around the castle is adorable beautiful and invites you to relaxing walks at any time of the day. See who's able to see one of the famous white dew deer first! Surrounded by avenues, meadows and wild creatures, Bjärsjölagård Slott is in an idyllic location in Skåne. The story sweeps around the trees and buildings, 55 kilometers from Malmö, just over 90 kilometers from Helsingborg, and 12 km north of Sjöbo. Here the meeting can continue in peace and quiet. Conference guests coming by car can park the facility free of charge. Have you been to Bjärsjölagårds Slott and want to give your own comments?